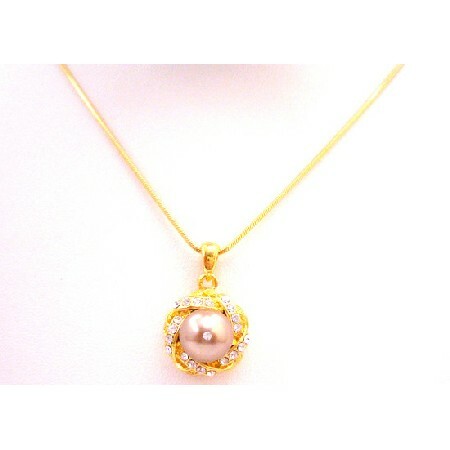 Wide Collection Of Of Pearl Jewelry In Intricate Classic Champagne Pearl Pendant accened in gold ring surrounded with diamante an exquisite choker 22k gold plated Necklaces are handmade drop down pendant with 100% GENUINE Swarovski Pearls accented Perfect with any outfit Superr Grade RARE HIGHEST QUALITY. Good shinning surface quality with unique attractiveness & fashionable flair to this stylish. What is in this season? Check this out! Necklace a trendy Necklace a perfect piece for anyone to wear for a formal or casual occasion!.